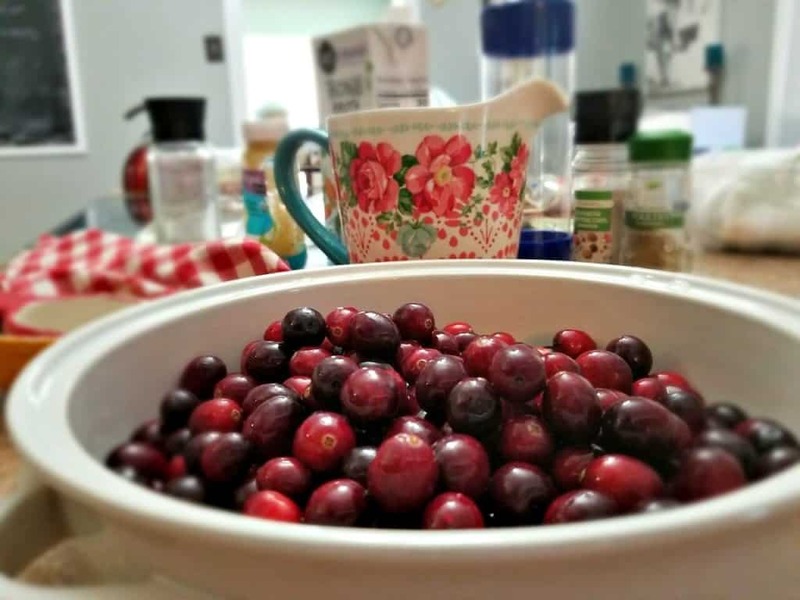 Have you ever made your own homemade cranberry sauce for the holidays? 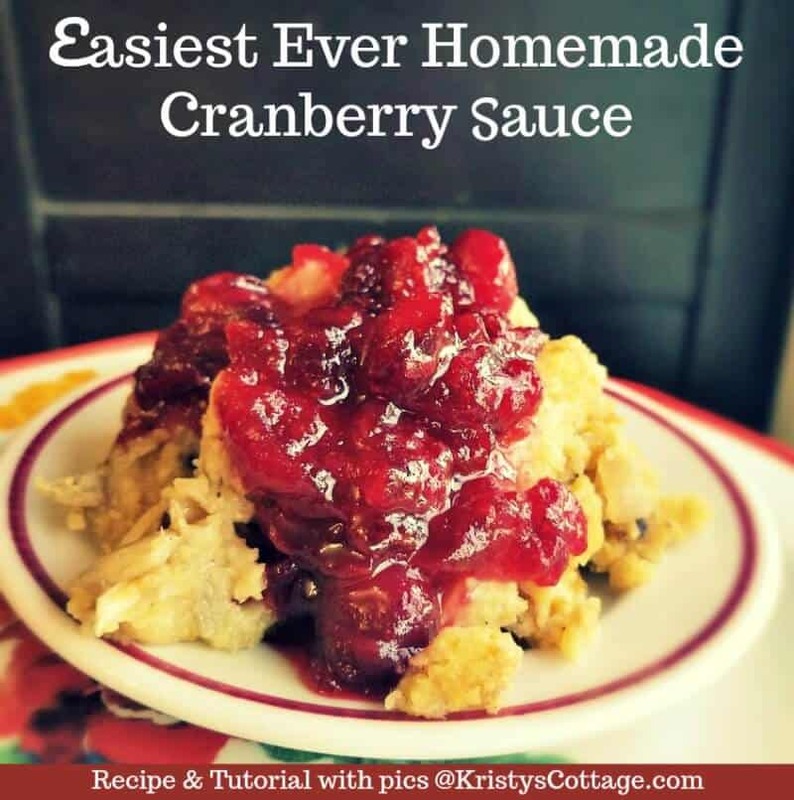 Homemade cranberry sauce is one of the easiest recipes to make instead of buy, and the results are so delicious! In this post, I’m going to show you a super simple tutorial (with pictures!) to guide you every step of the way. You seriously only need three ingredients! 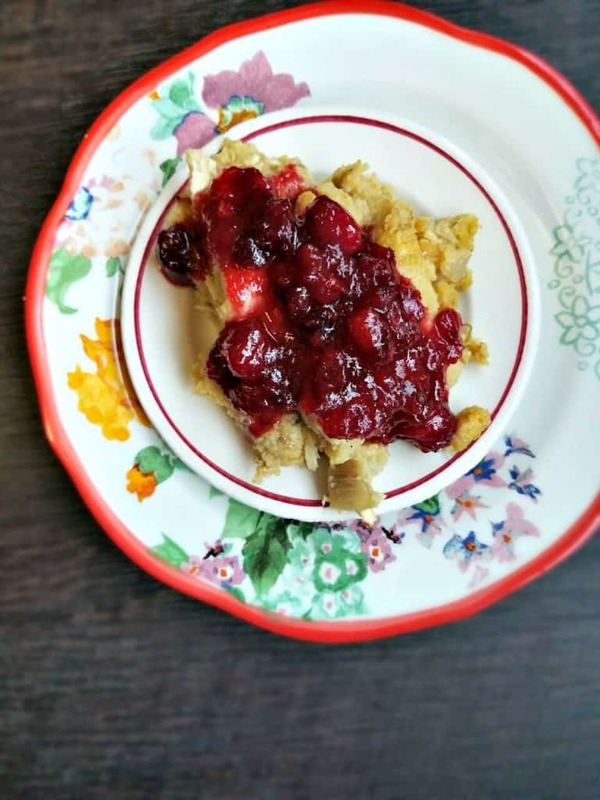 A holiday recipe that's too simple NOT to make! Pour the water into a medium-size saucepan and heat the burner to medium-high heat. Gently stir the sugar into the water with a whisk while the water heats up. 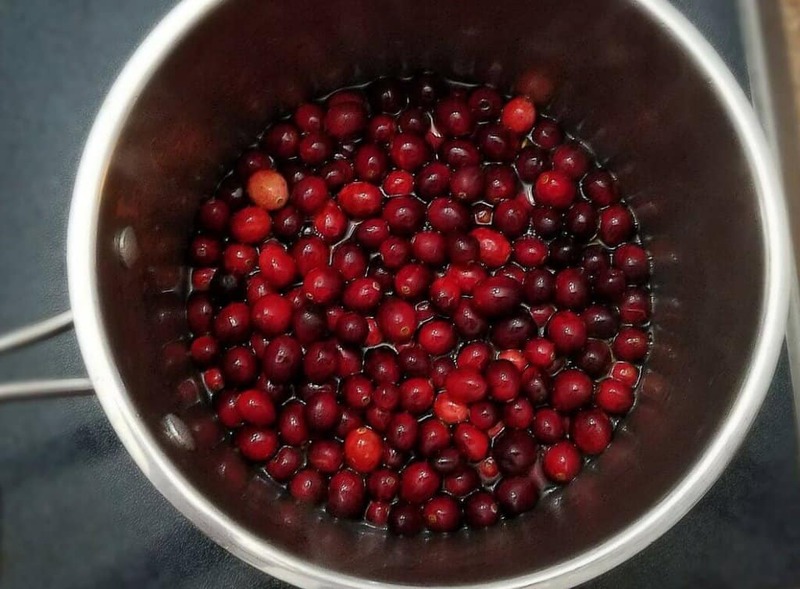 While the water mixture is heating, rinse the fresh cranberries in a colander and cold water. Once the water mixture comes to a boil, carefully pour in the cranberries! Stir, and reduce the temperature a little so that the water continues to simmer. Let the cranberries simmer for about ten minutes, stirring occasionally with a whisk. 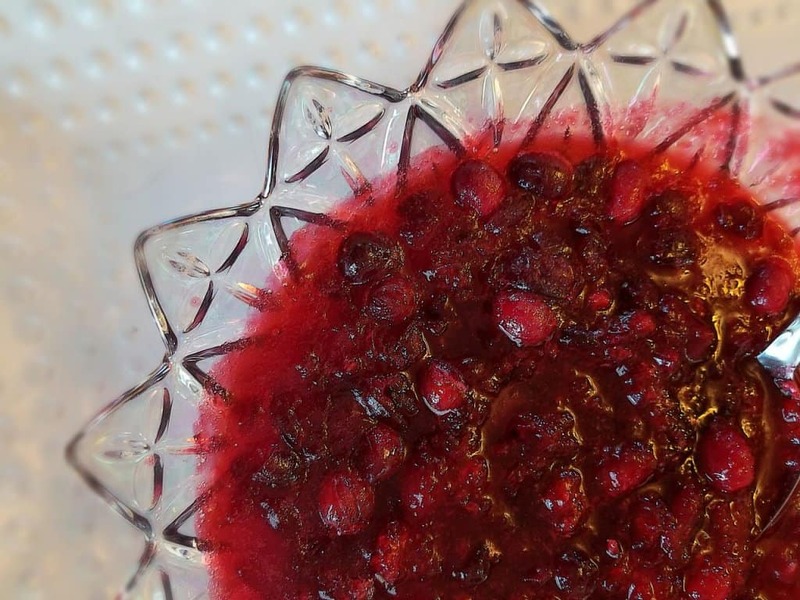 Once the cranberry sauce has thickened, remove from heat and pour into a glass serving bowl. Chill before serving! Start out with a 12-ounce bag of whole, fresh cranberries. Pour them into a colander and rinse them really well with cold water. Pour the water and sugar into a sauce pan. Heat everything over medium-high heat. 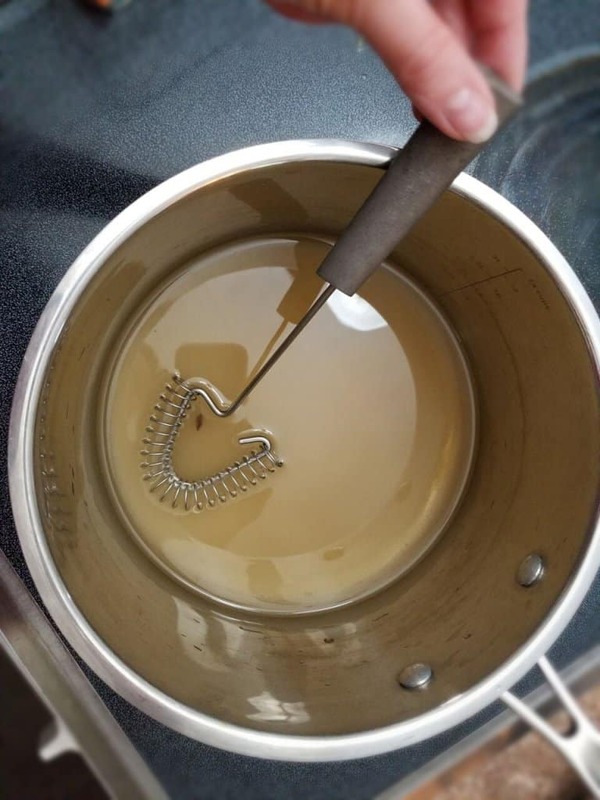 Stir with a whisk and heat until water begins to boil. 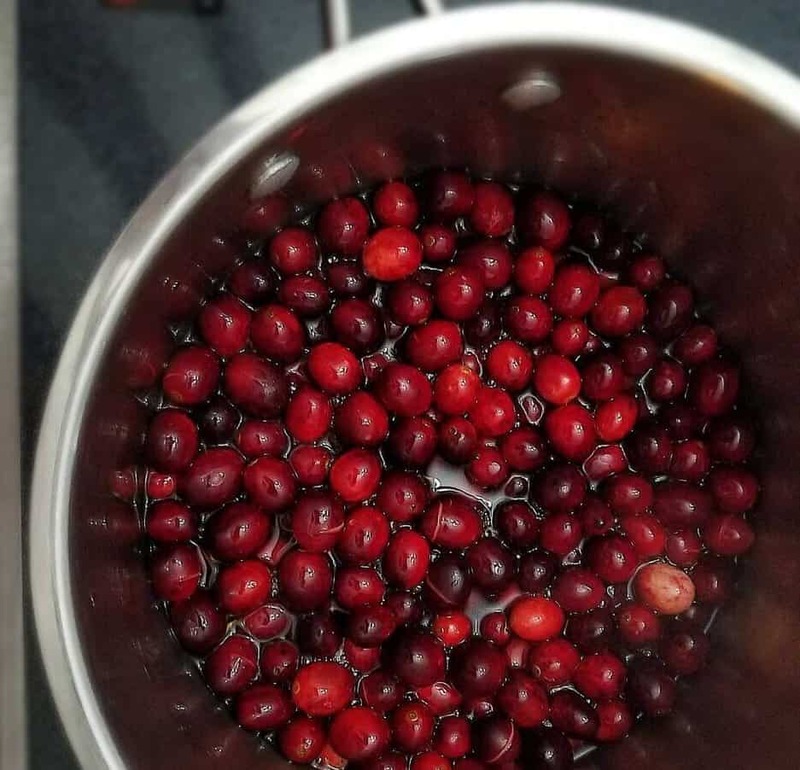 Once the water boils, carefully pour in the cranberries! After a few minutes, the cranberries will begin to “pop” as the pectin is released. This is my kids very favorite part! Stir the cranberries occasionally, and mash a little with your whisk if you like a smoother sauce. Once the cranberry sauce is thick, carefully pour it into a glass serving bowl. And there you go… fresh, homemade cranberry sauce! This is just the way my husband loves it… poured over hot-out-of-the-oven cornbread dressing. 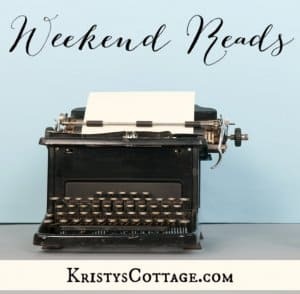 I’ll be sharing my grandma’s corn-bread dressing recipe here on the blog tomorrow… well, it’s my gluten-free version of it. It’s super delicious, so stay tuned! 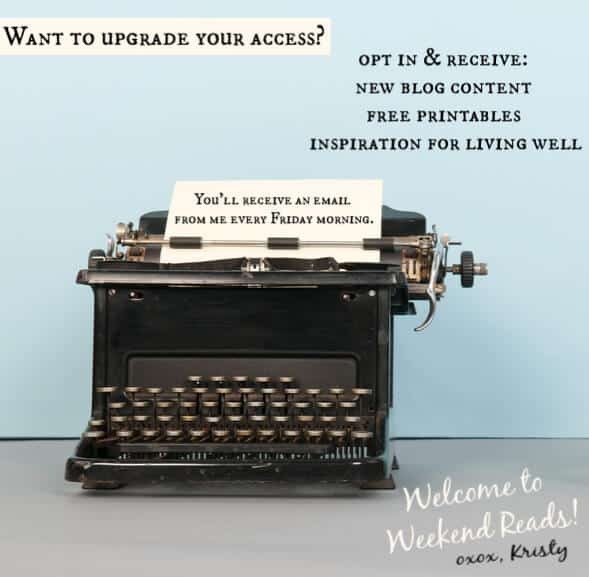 While you’re waiting, subscribe to Kristy’s Cottage so you don’t miss it tomorrow!